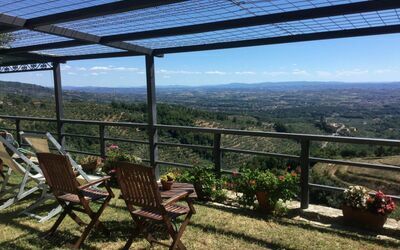 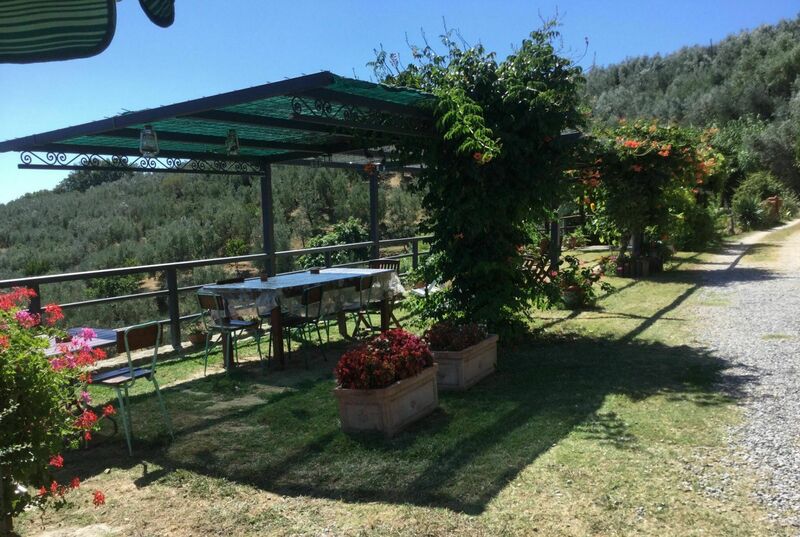 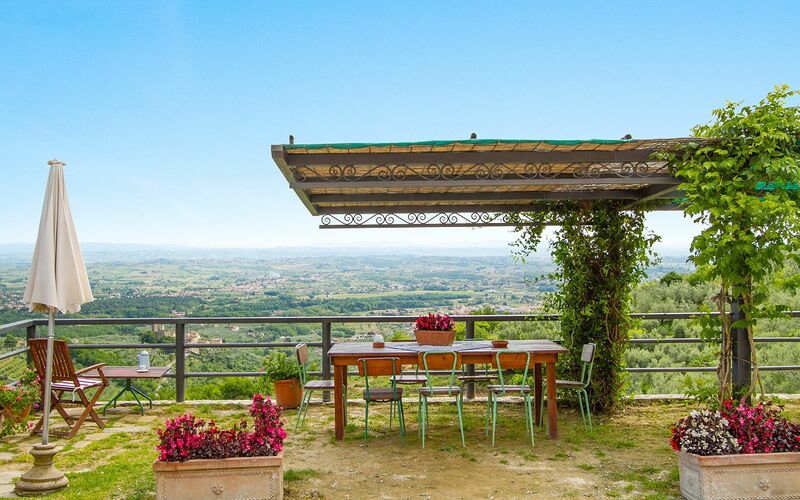 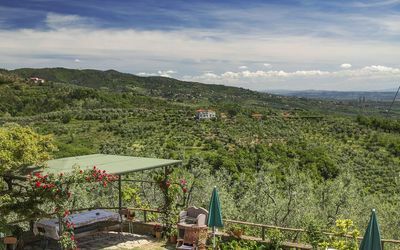 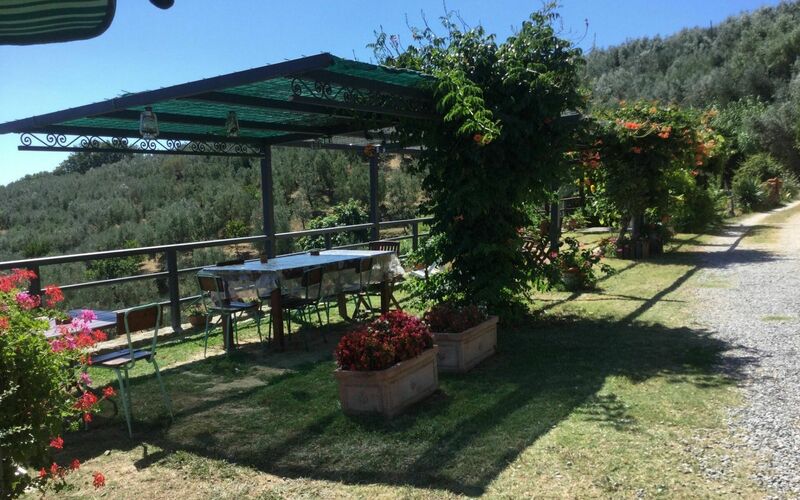 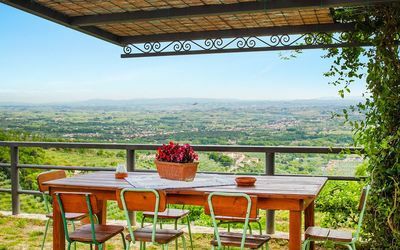 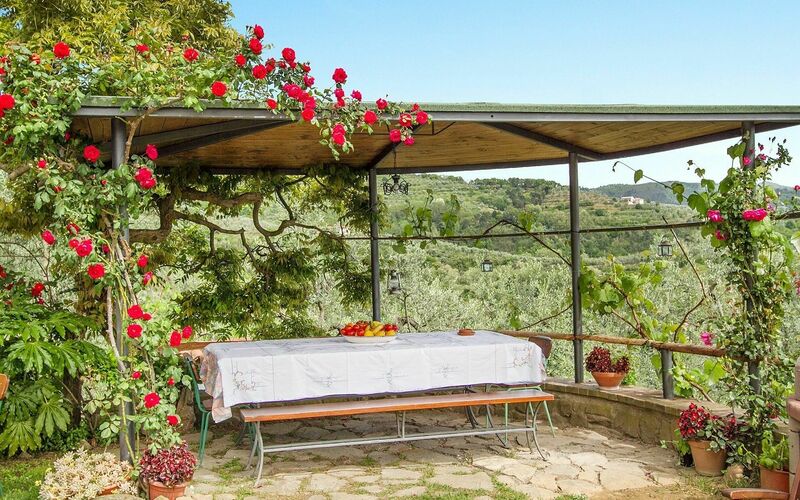 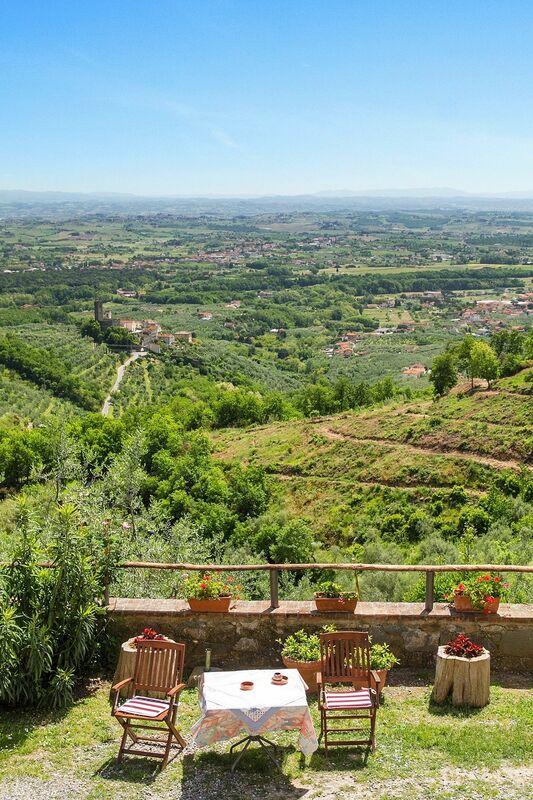 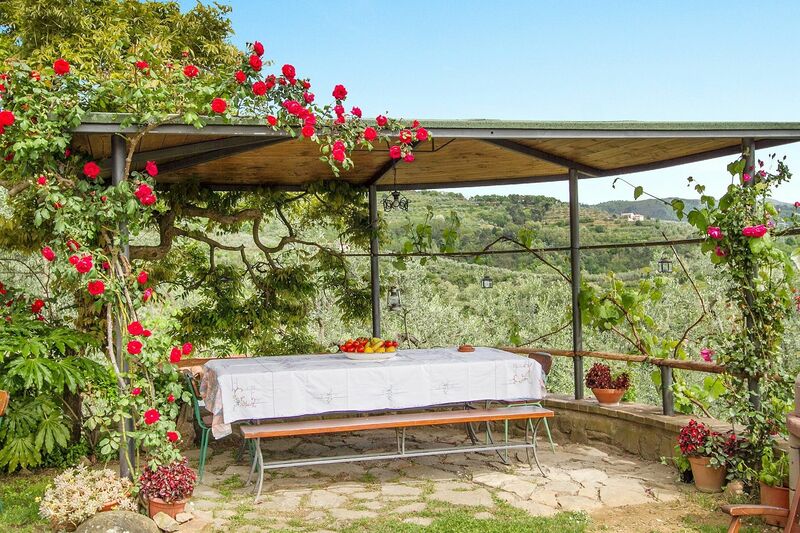 The farmhouse is situated on the hills in the area of Montalbano, surrounded by olive-trees and facing the valley of Padule di Fucecchio. 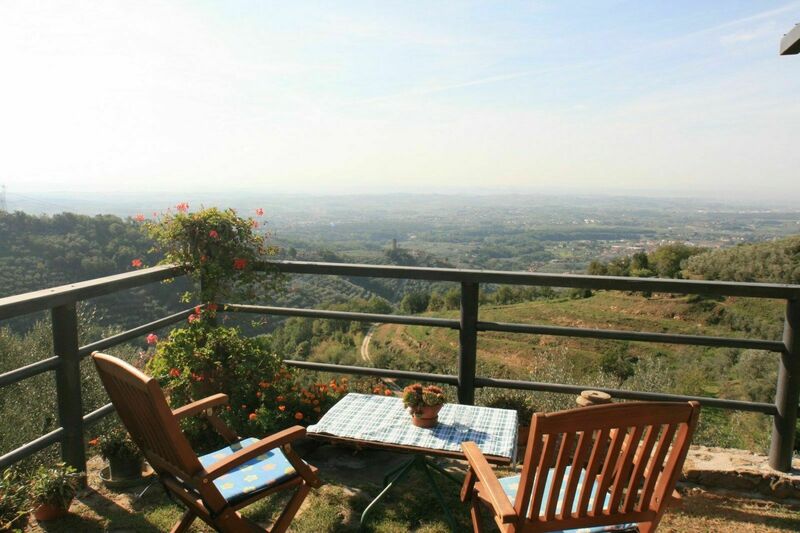 It is near by the village of Larciano were you can find supermarket, shops, bank and sporting equipments. Five Km. 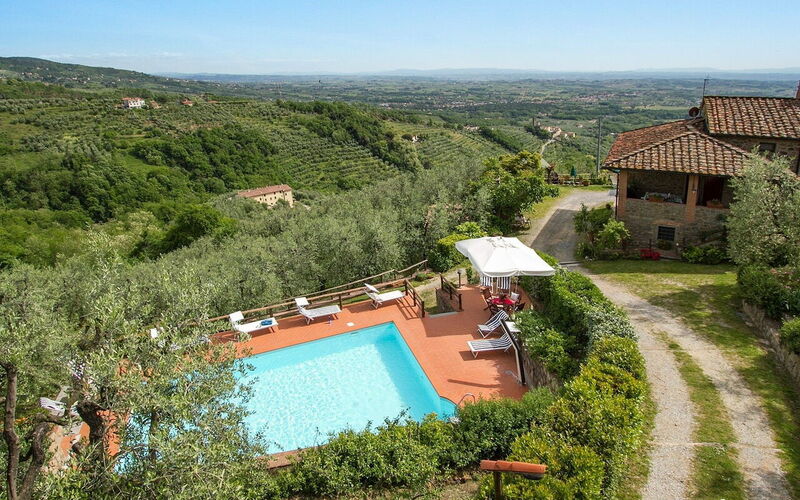 far there is a 18 Holes Golf court and the Thermal bath. 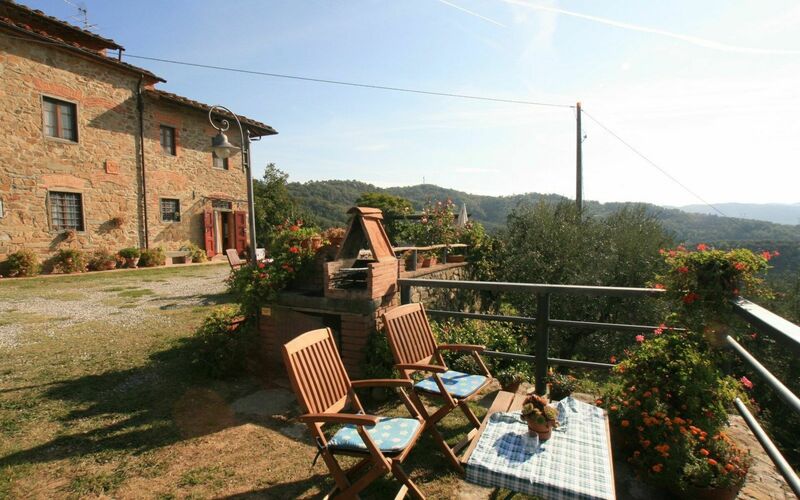 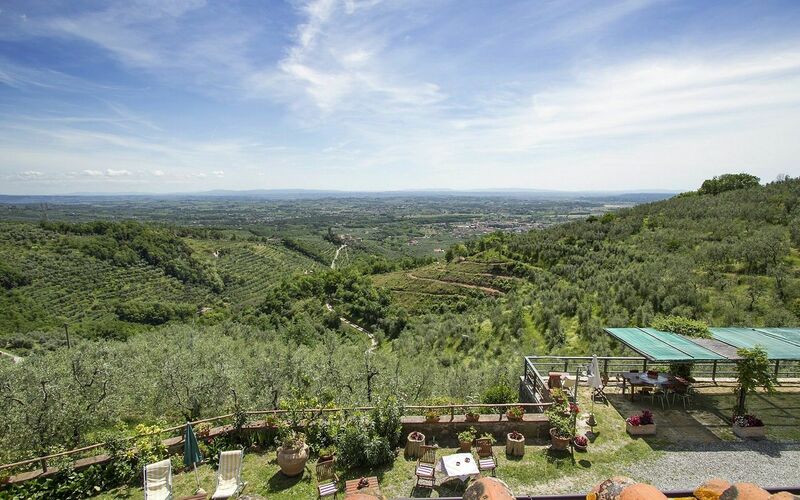 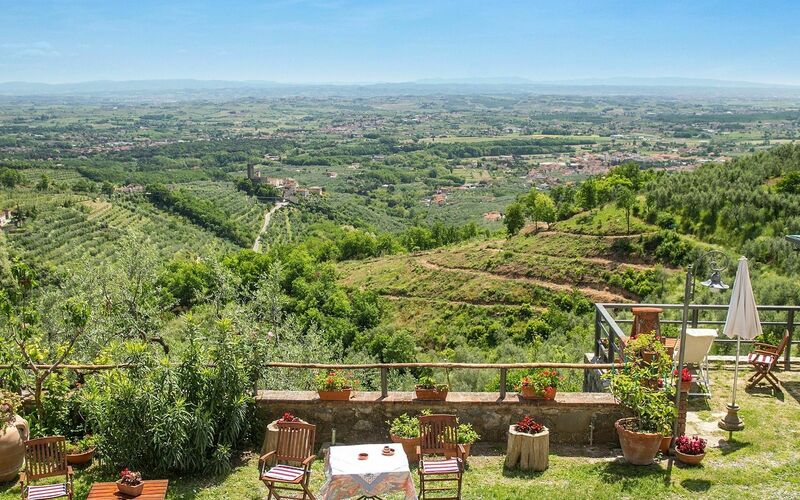 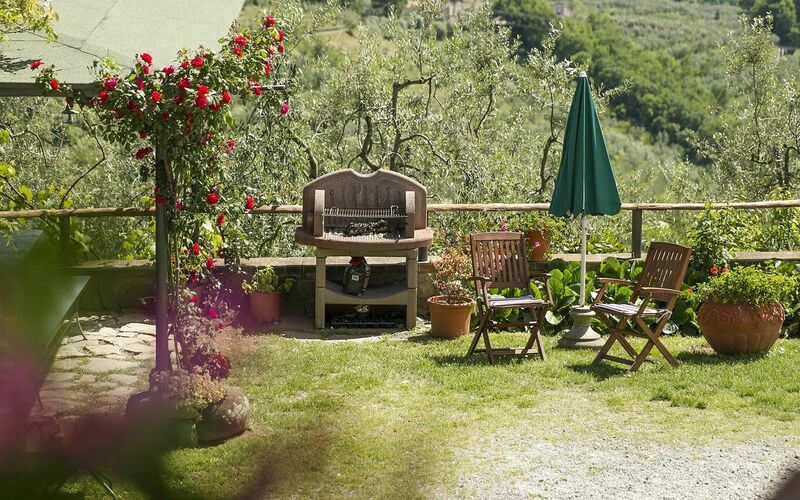 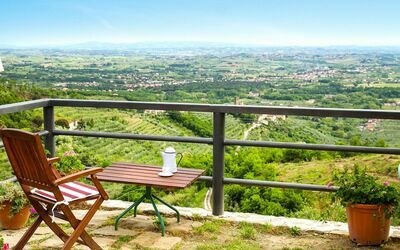 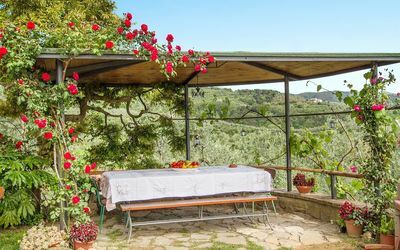 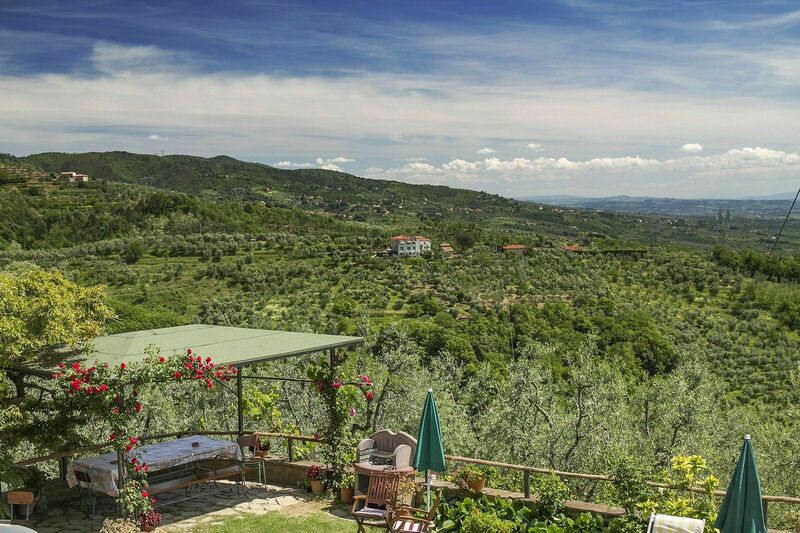 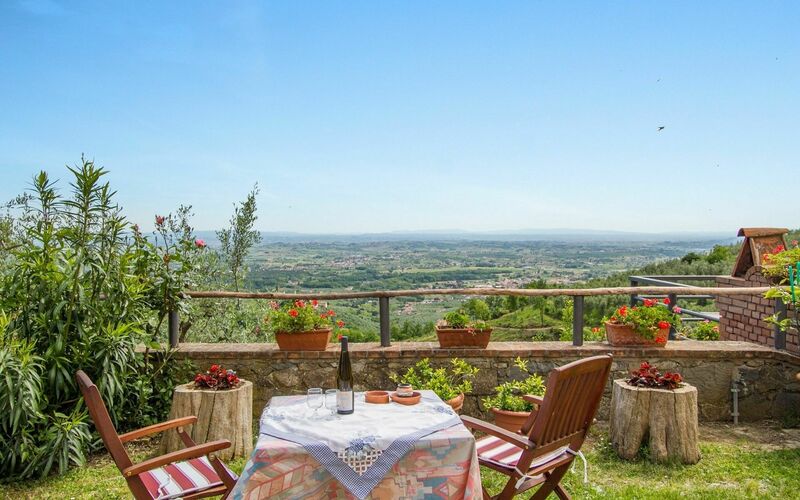 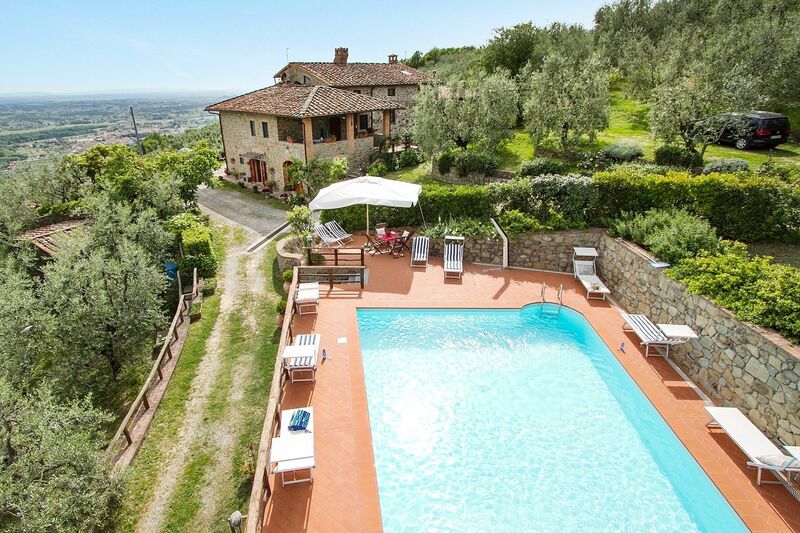 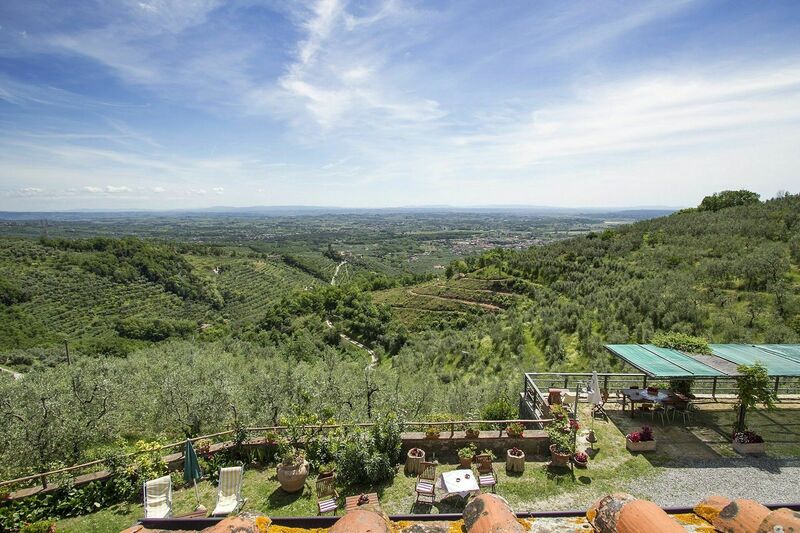 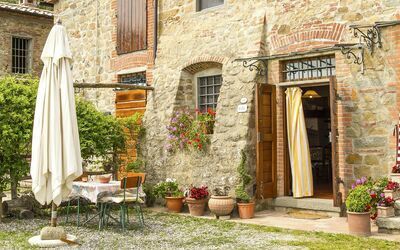 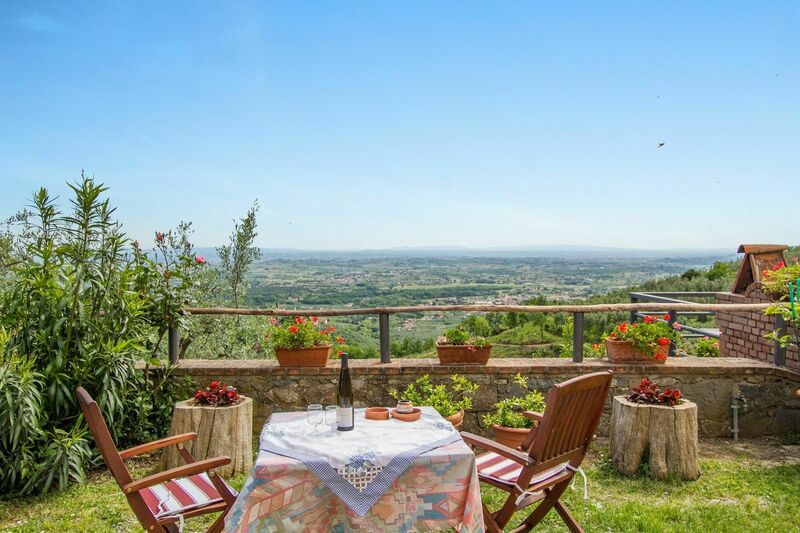 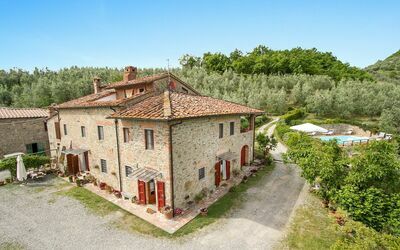 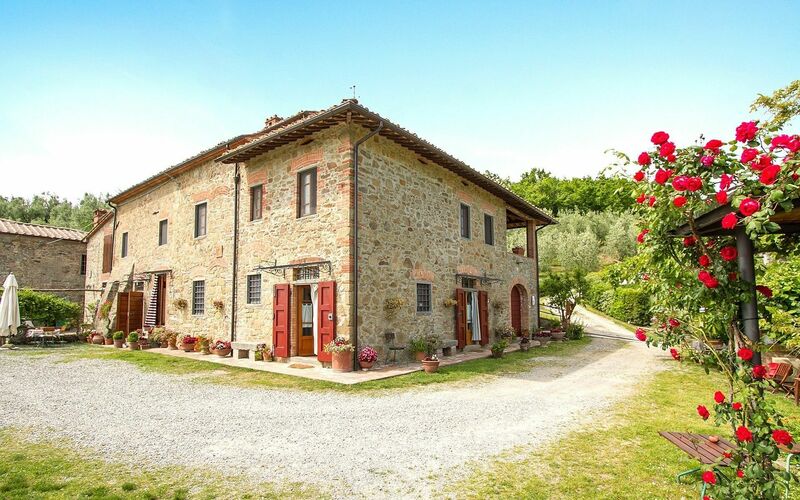 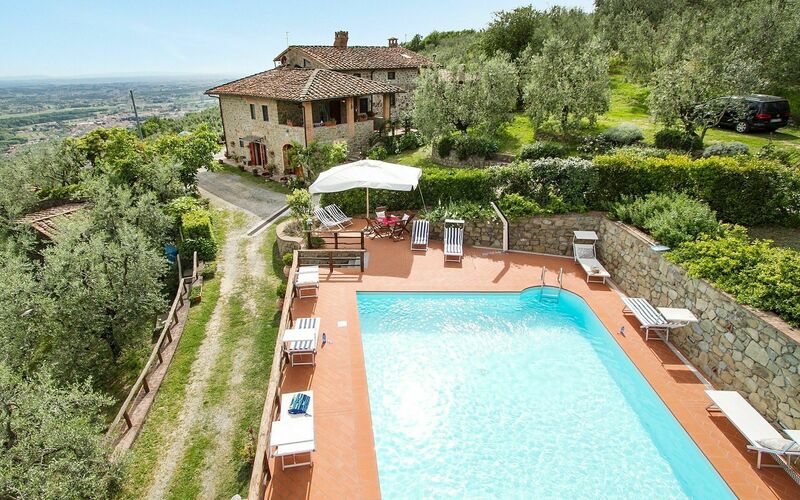 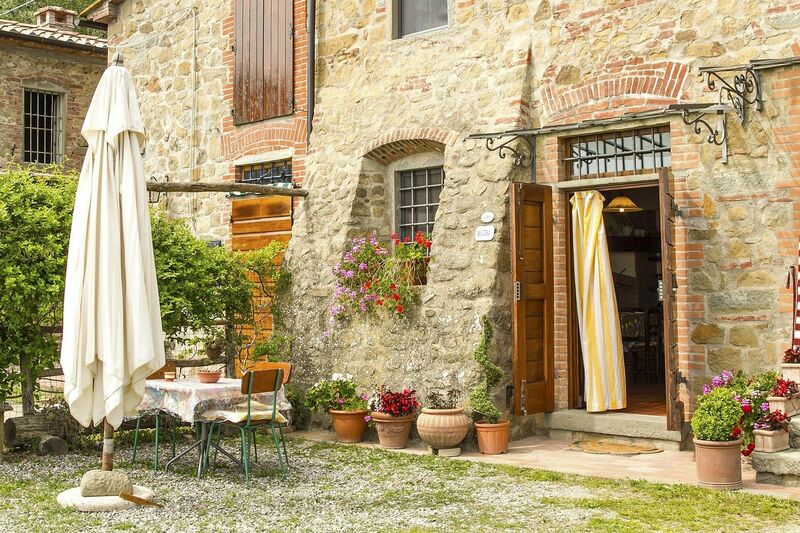 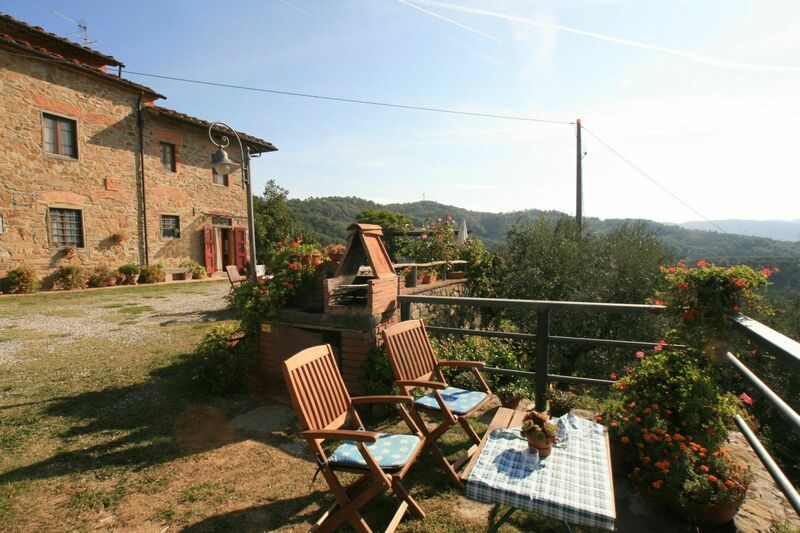 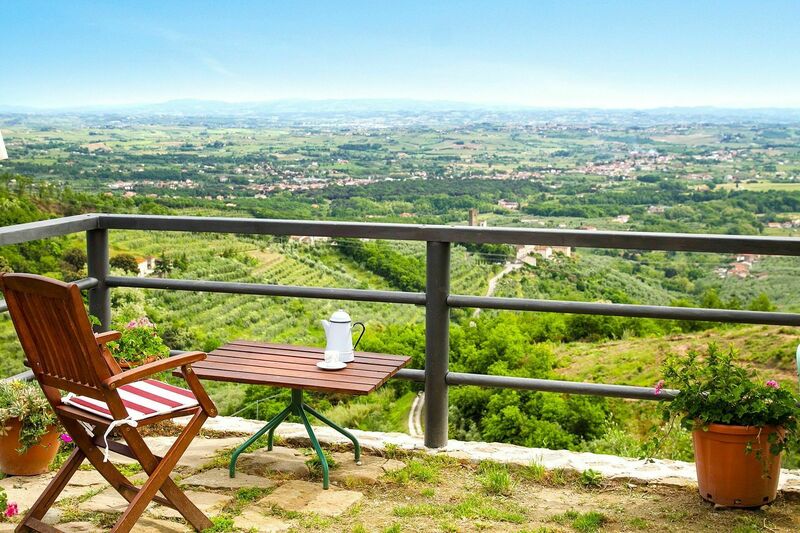 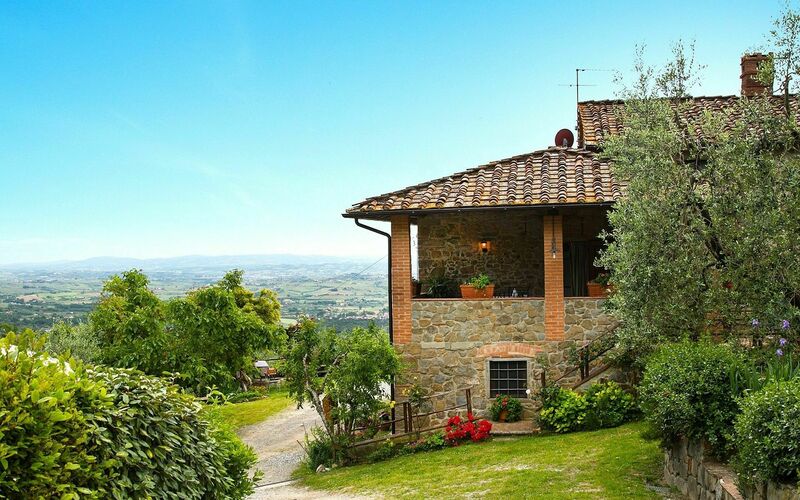 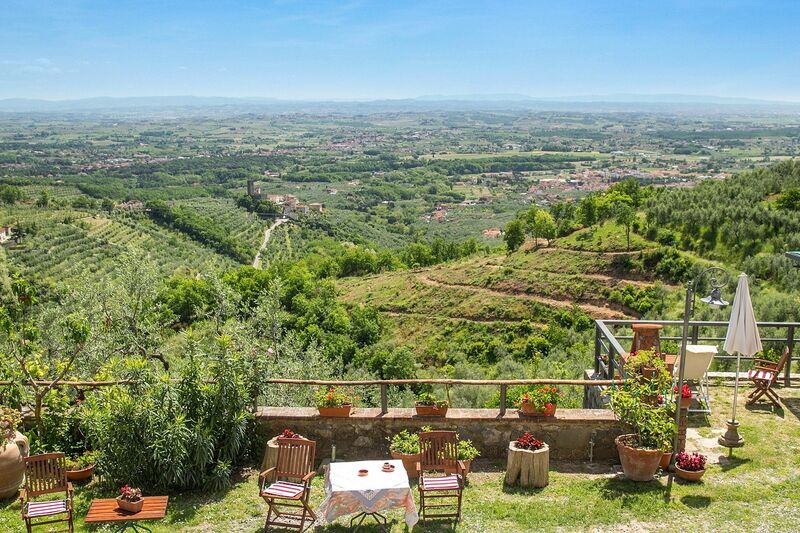 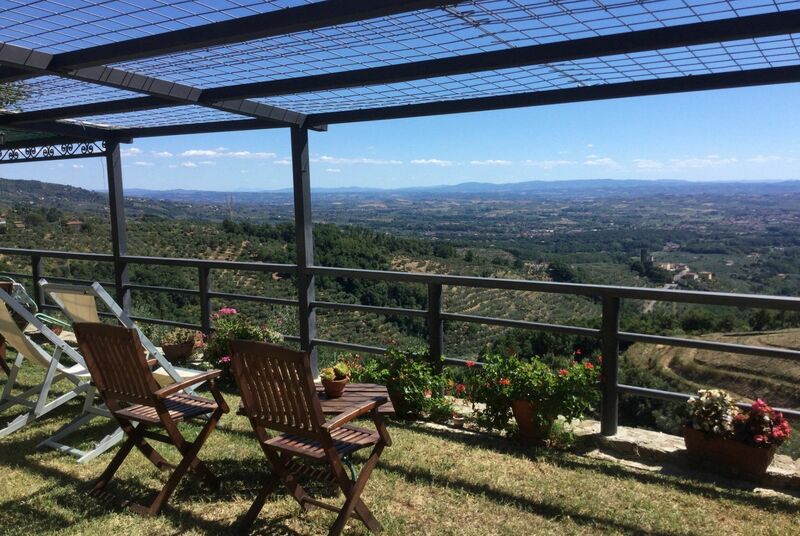 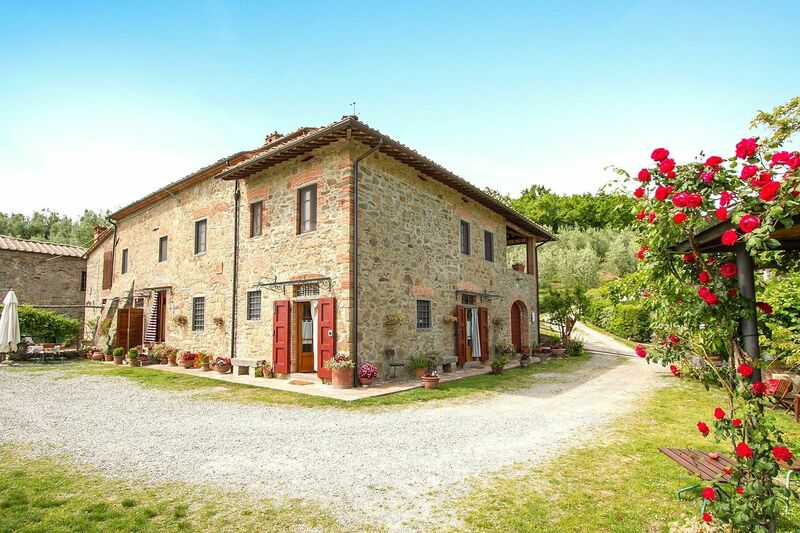 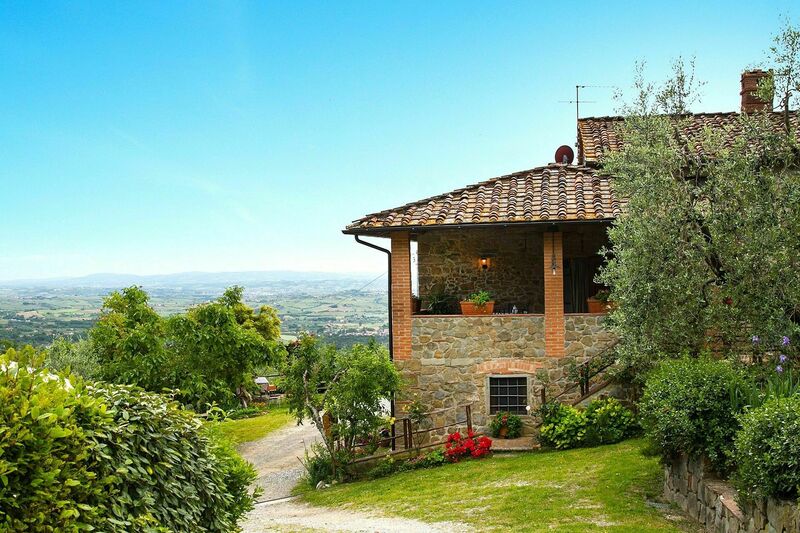 It is the ideal place to spend a relaxing holiday of full immersion in the green countryside and, thanks to the short distance from important centers for culture and the arts, it also offers the opportunity to visit some of the most beautiful cities in Tuscany, such as Florence, Pisa and Lucca. The structure of the whole house has been recently renewed and the flats are all well furnished; they have a hall with TV, a kitchen (coffee machine, oven, refrigerator) and bathrooms. 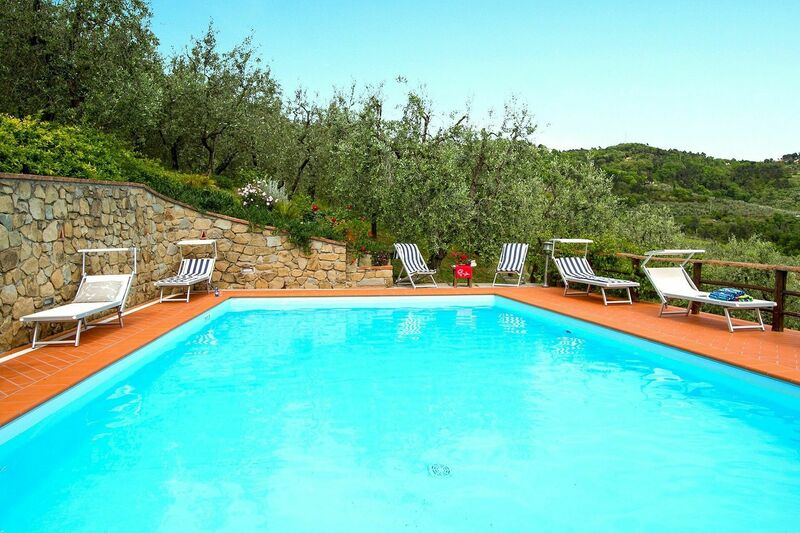 In addition, the farmyard has a swimming-pool, which is perfect in summer. 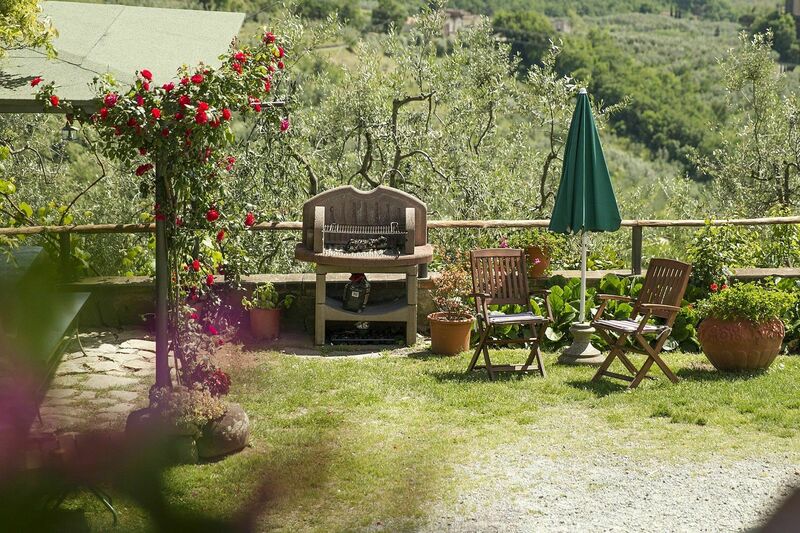 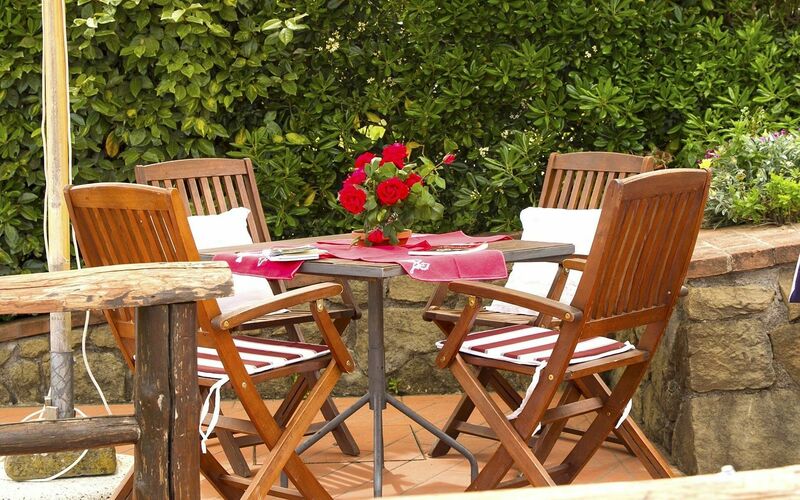 In the garden you can find everything to relax (deckchair, tables, umbrellas) and the barbecues. 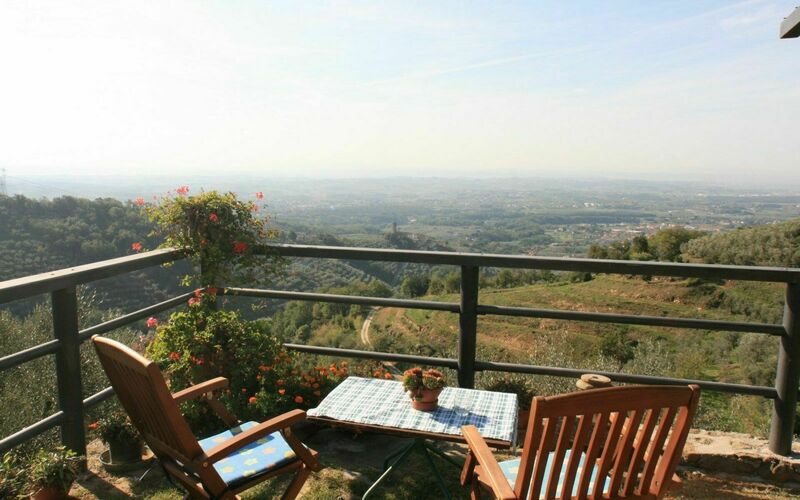 You can enjoy a peaceful place with a panoramic view. 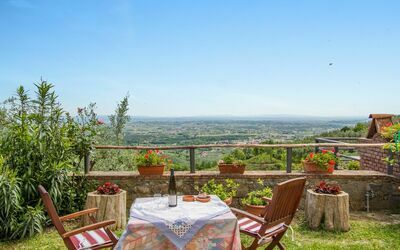 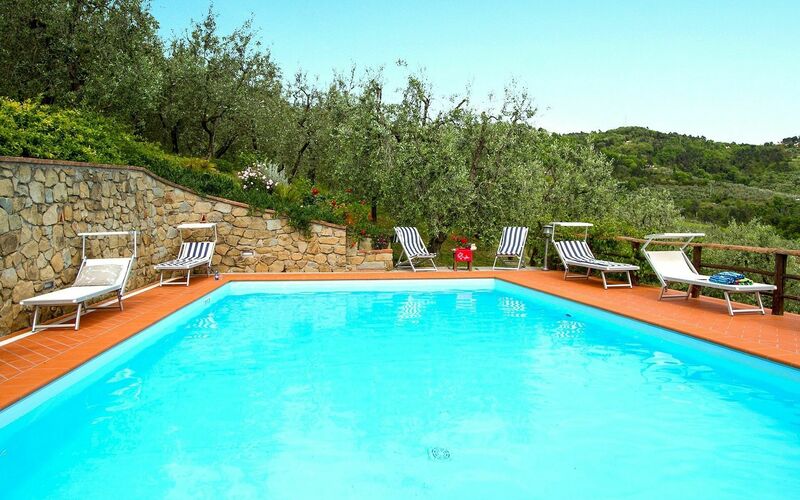 You can spend your Tuscany holiday choosing one of the three apartments or renting the whole villa for a maximum of 18 persons. 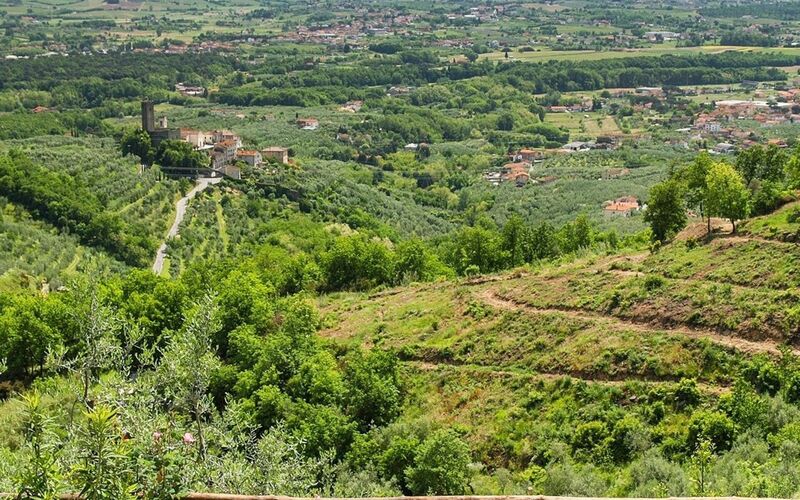 It is possible to do trekking, mountain bike in the wonderful tracks on the hills. During the autumn you can partake to the harvest of the olives and see how we made our delicious "Extra-vergine olive oil". 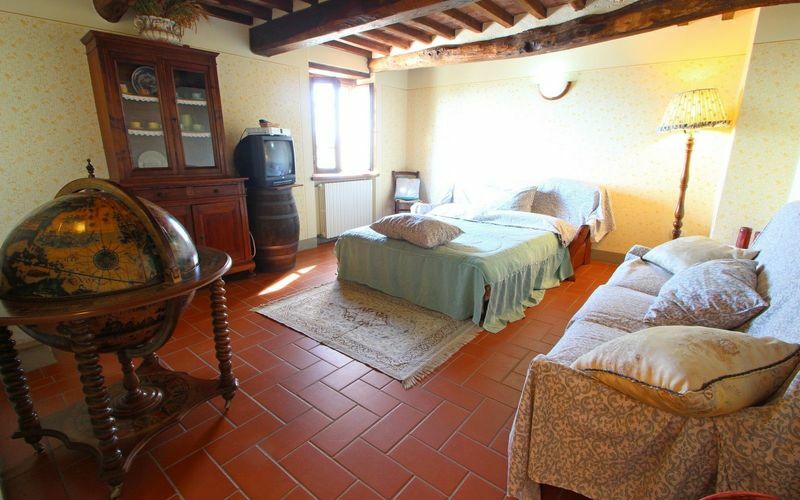 t has three large and light floors, the furniture is plain and it can accommodate up to nine guests. 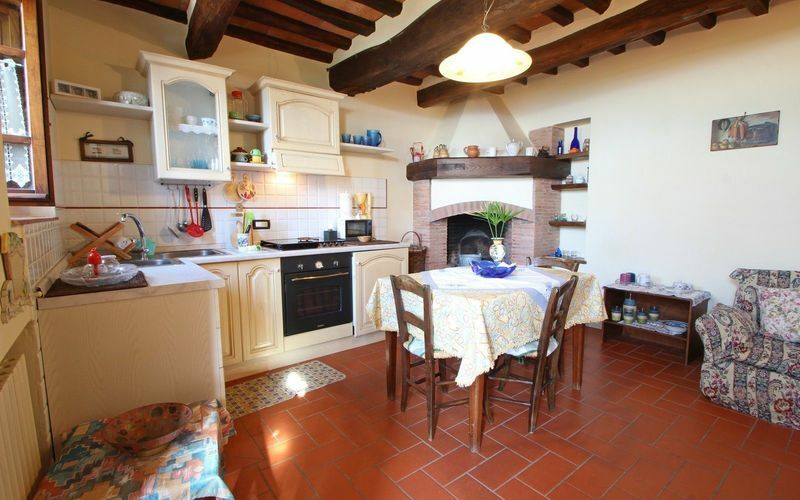 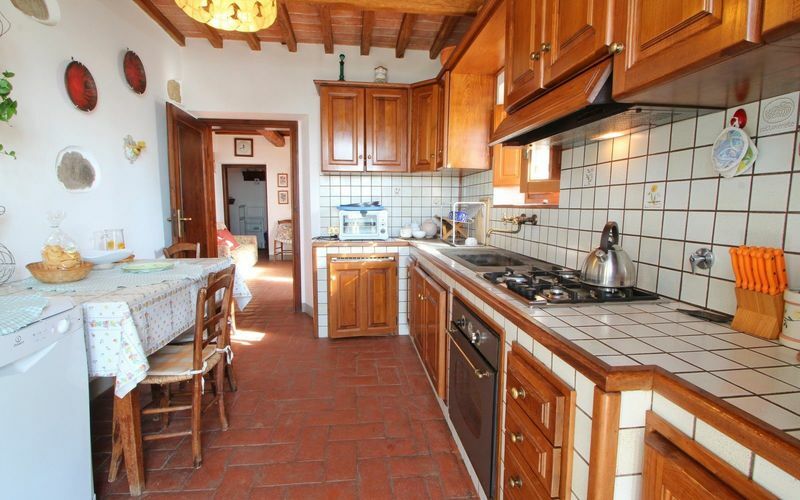 On the first floor there are a kitchen, a comfortable sitting-room with the fireplace and the oven. On the second floor there are three double-bedrooms, a bathroom and a single bedroom with the door to get to the wonderful veranda facing the farmyard. 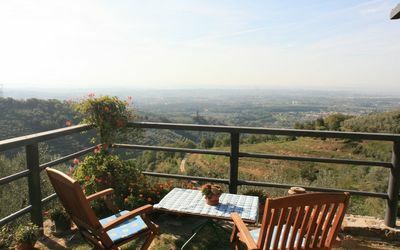 Finally, on the third floor there is a big two-bedded room and a solarium-terrace in the flat roof.